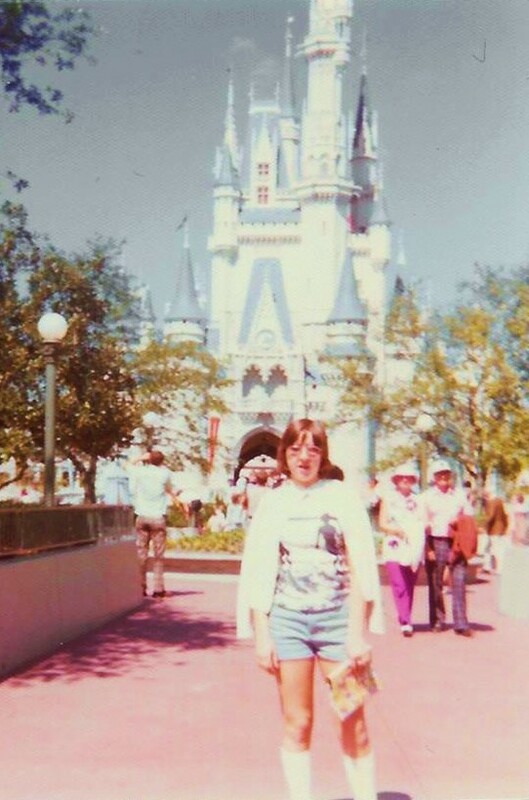 In 1976 my mom and I took a trip to Walt Disney World for the very first time. 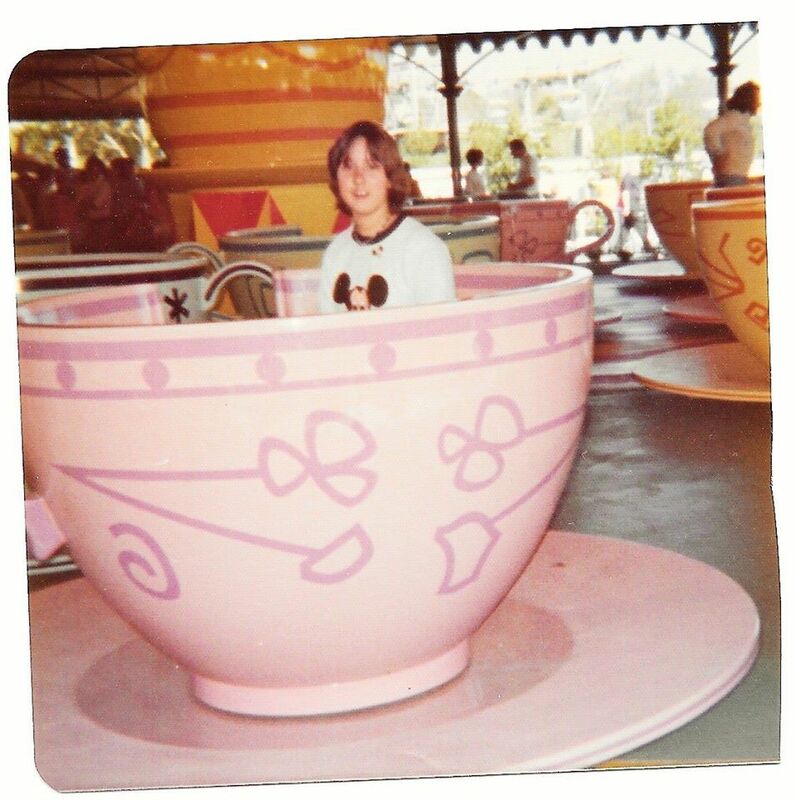 I was 15 years old and Disney World was only 4 1/2 years old at the time. 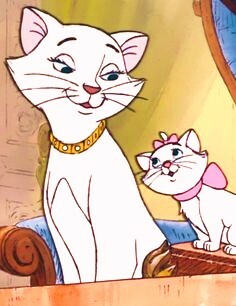 Being the youngest child, I had never been *anywhere* alone with just my mother. This trip was, and still is, very special to me. 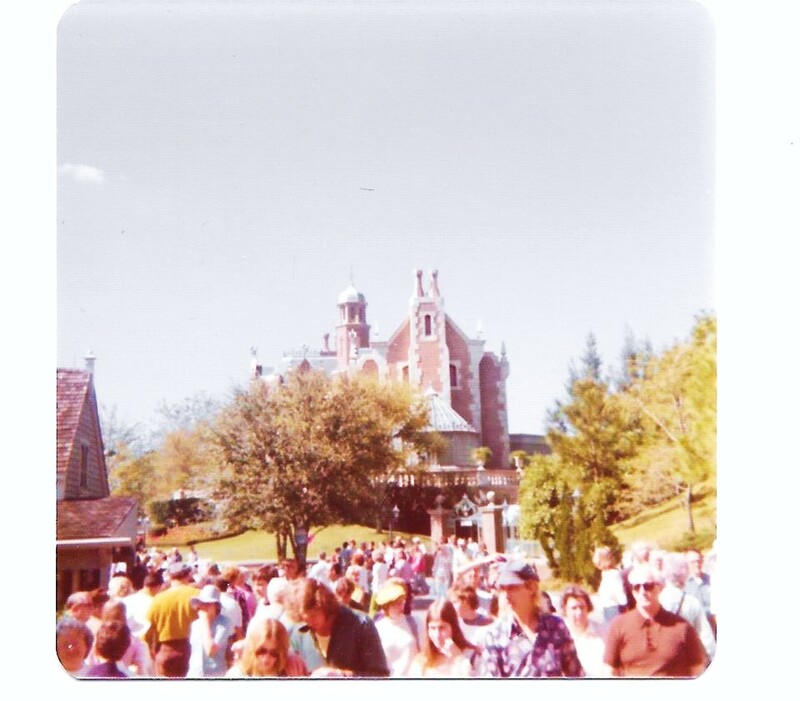 I can vividly remember the feelings and details of that very first trip, almost 40 years later. My mom had never flown before and she was nervous, to say the least, but she got on that plane because she didn't want to disappoint me. In this picture she is pretending that she's "tipsy" due to needing a drink just to get on the plane. 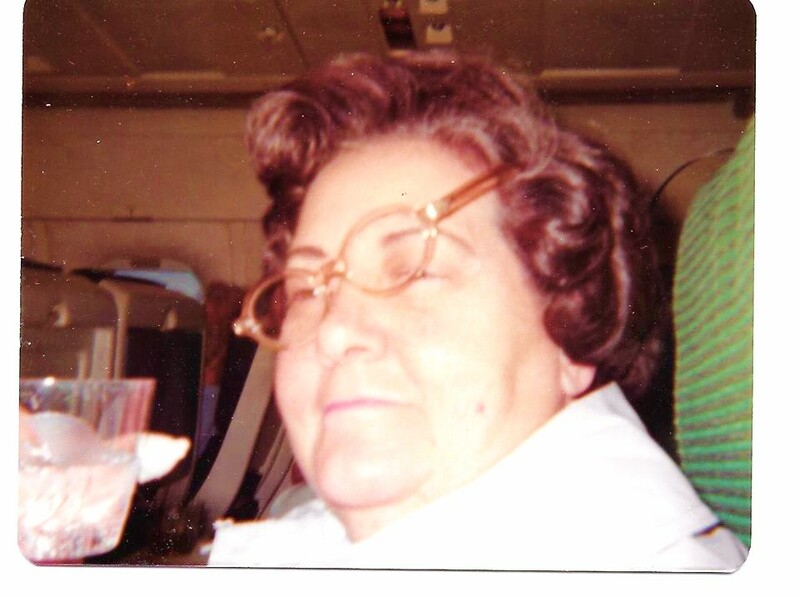 That's 7-Up in her cup... And this is where my sense of humor comes from!! 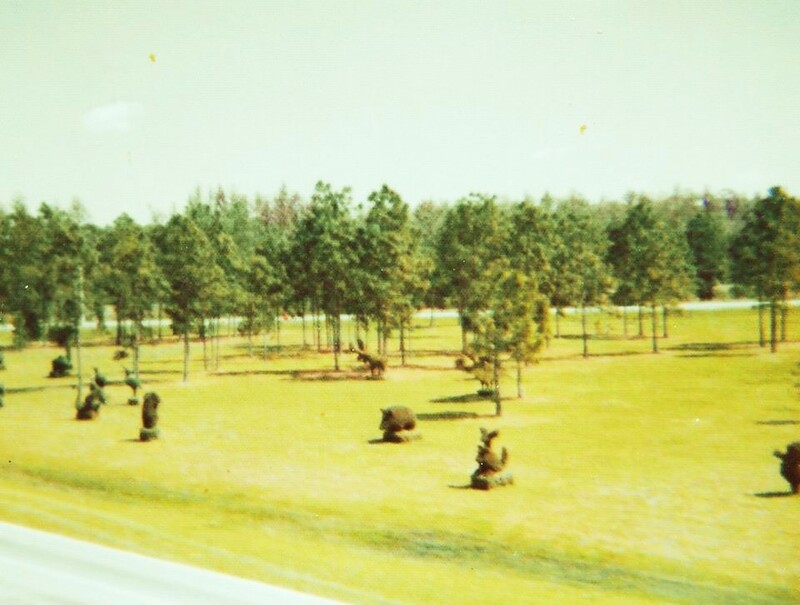 The cool topiaries in the shapes of animals, as seen from the tram that took us from the parking lot to the park. These topiaries got me excited for whatever else was ahead of us! 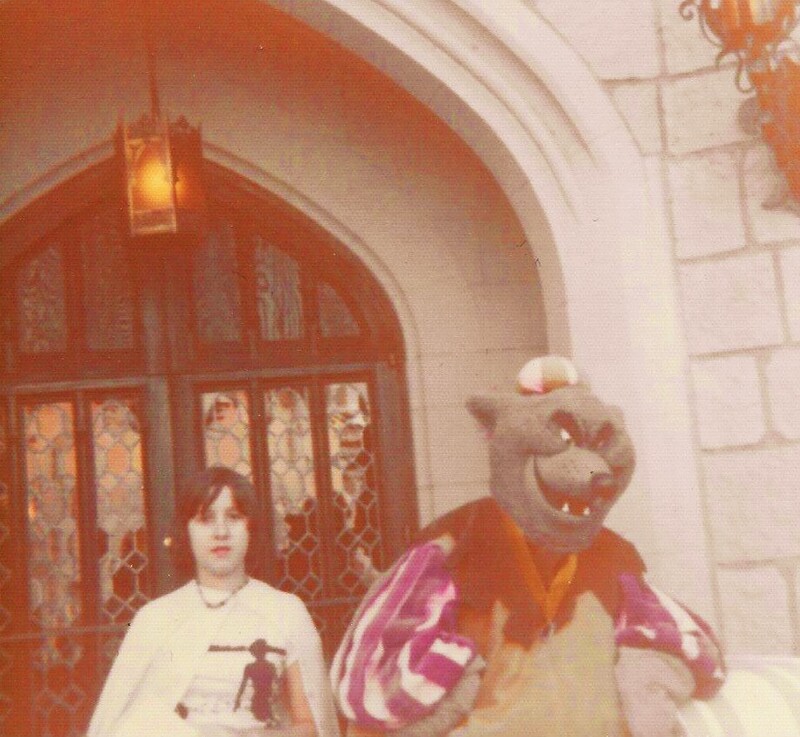 And here I am in front of the Castle. I am so glad that my mom insisted on taking this photo! Little did I know how much that place would mean to me as I got older, and having this old picture is so much fun. 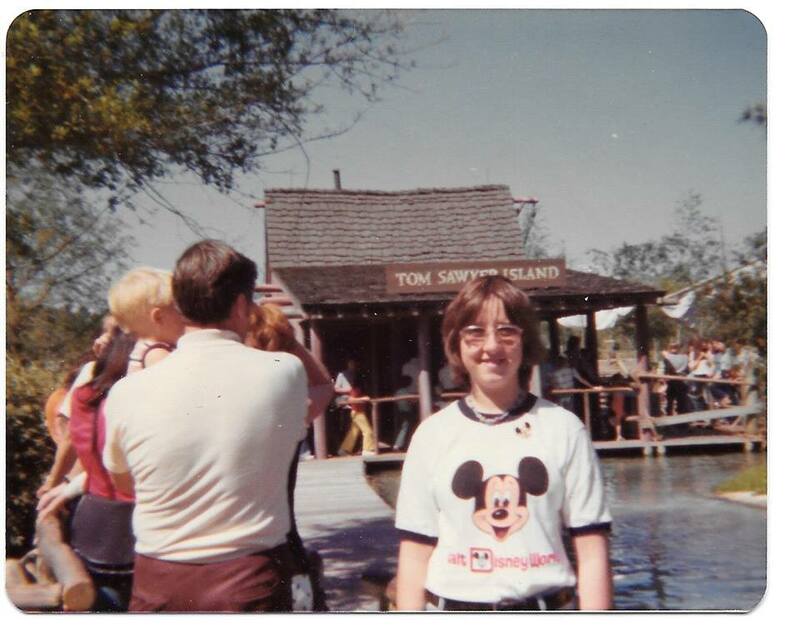 Mom didn't want to visit Tom Sawyer Island either, but she snapped this picture of me before I took off on a raft. She waited for me on a bench near the ride and when I see that spot now I always remember her there smiling. 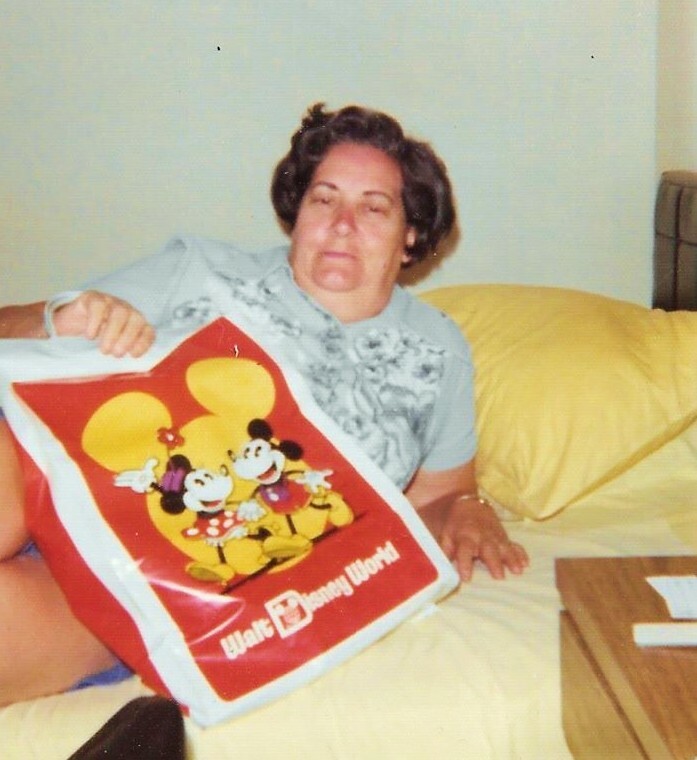 One of the few pictures that I took of my mother. 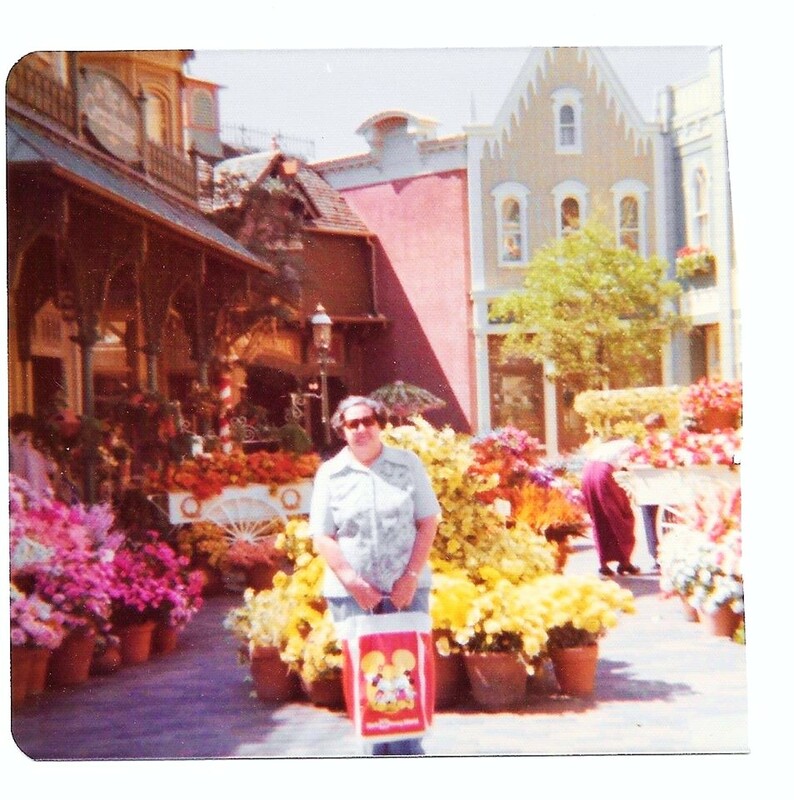 This side street off of Main Street USA is the perfect spot for her, full of colorful flowers and feeling very serene. I remember wishing that she and I could live there and never leave! Help! 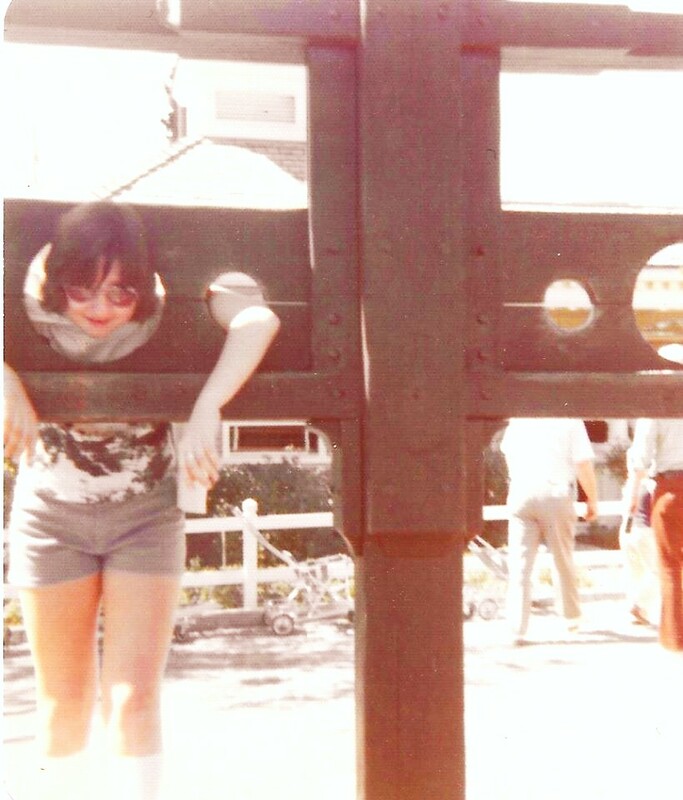 I'm stuck in the stocks! 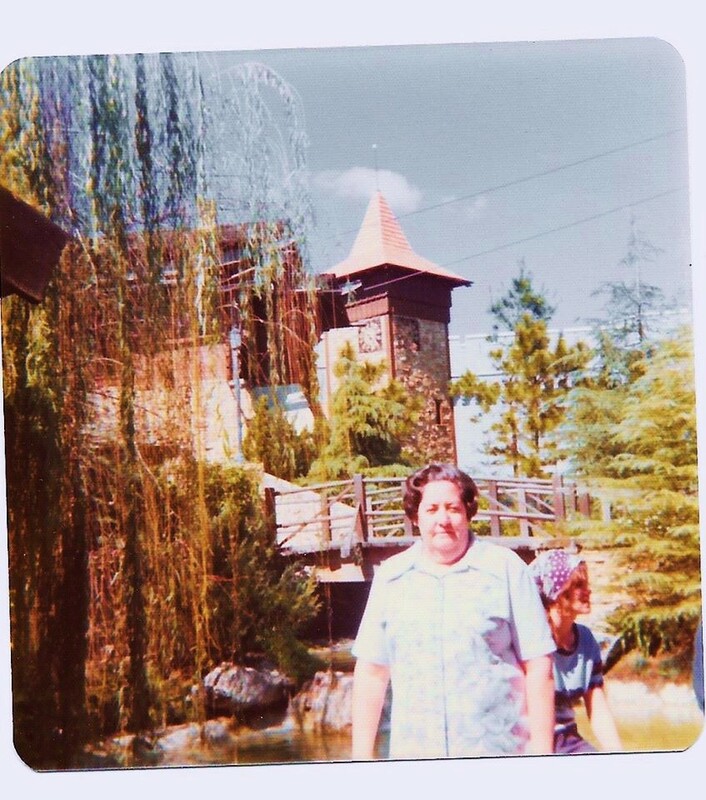 Mom standing near the entrance of the old Skyway ride. The Haunted Mansion out in the open....Lots of trees surrounding and behind it now! oh... wait... PARK. Singular. 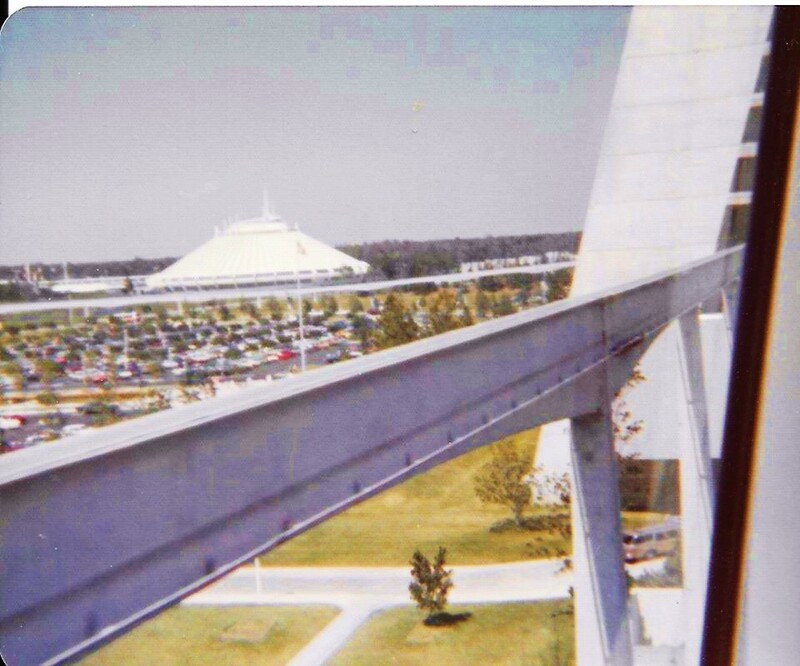 There was *only* the Magic Kingdom back then! We spent a few days there and saw and did everything. It was an amazing trip and I might not have realized it when I was young, but my mom was an amazing woman. Looking forward to seeing my mom again!